Summer is a great time to be single: people are out and about more, the winter wardrobes have been packed away and generally there is a great mood in the air. Here at Donnajeanbooks.com I appreciate how great this season is for meeting new people, which is why I thought we’d go back to the basis and summaries our essential tips for dating this season! Do stay positive – when you start dating someone new you want to make sure you’re in a good place and happy in yourself. New love is amazing, but you should always enter new relationships with a respect for yourself and a happiness in your own hobbies, ambitions, values, plans and freedoms. You need to be happy on your own first, with new love taking you to new levels of happiness. Don’t be negative – dating is about new experiences – good or bad, they all take us one step closer to understanding the kinds of relationships we want. Whilst remaining safe and sensible in your summer dating adventures, be sure not to overthink every move. Go with the flow and have fun. Do keep your social life – when you do start dating someone don’t be afraid to keep your existing plans and commitments. It’s okay to say you are busy and ask to see someone another day/time. You need to make sure you still keep your social life outside of dating to have a healthy balance. Make dating fit into your schedule not the other way around. What’s more, having those extra things in your life, will allow you to share your own passions and experiences when you do go on your dates! 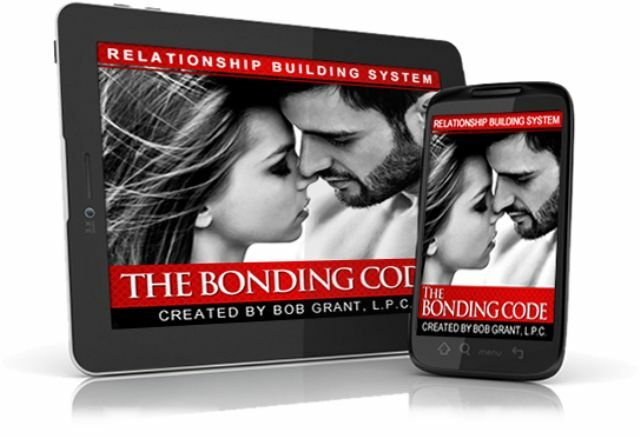 By the way, I highly recommend Bob Grant’s ebook “The Bonding Code” to everyone, who want to learn the real secrets of dating with a man! Do be real – be honest about who you are, what you’re interested in and your likes/dislikes. The right person will be interested in what you have to say and even if they don’t like all of the same things that’s not always a bad thing, opposites sometimes attract remember! Do ask about them – make sure for every question they ask about you, you ask one back, try and make it slightly different too – it will show you are interested in hearing about them and will help you get to know them even better. Don’t talk about yourself all the time – we’ve all been on or heard about a date where the other person talked about themselves far too much. Dating is about conversations – sharing stories and finding mutual topics of interest. Do take your time – make sure you get to know someone before rushing into anything. There is nothing wrong with taking it slow – if the other person likes you too then they will take it at your pace. You don’t know they may even want to take it slow too! Top priority is always making sure you are totally comfortable with any dating situation. Don’t take too long – while taking your time is advisable there are exceptions to the rule, you don’t want to keep them waiting too long before you meet face to face, the sooner you meet the sooner you will know if you want a second date and who knows what could happen from there. Most importantly – do have fun!! It’s summer after all and you want to enjoy dating! Try new date ideas, soak up the sun and visit new outdoor spaces! If you are having fun, even if summer relationships don’t work out long-term – at least you can look back fondly on the fun dating experiences you enjoyed!! Good luck!